Star Micronics and Quetzal POS expect massive growth in 2017 with Quetzal POS’ completely redesigned and expanded iPad retail software solution. Somerset, NJ – May 03, 2017 – Star Micronics, leading provider of point of sale and proof of transaction technology, today announced that Quetzal POS will be providing support for Star’s all-in-one mPOP™ peripheral with their new and improved iPad® point of sale system. Quetzal POS has completely redesigned their iPad point of sale and claims to have the most beautiful and simplistic POS available for retail. Quetzal POS specializes in point of sale technology that provides tools for entrepreneurs to take their small to medium-sized retail business to the next level. 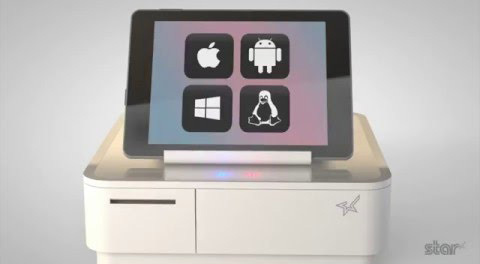 Paired with Star Micronics’ mPOP™, mobile point of purchase combining a 2-inch receipt printer and cash drawer, Quetzal POS is the ideal point of sale solution for boutiques for footwear, clothing, cosmetics, fragrance, and more. GET A QUETZAL POS DEMO WITH mPOP™!